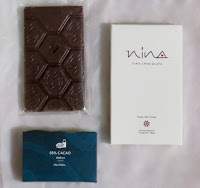 Welcome to Day #19 of Chocolate and Peru Theme Week. 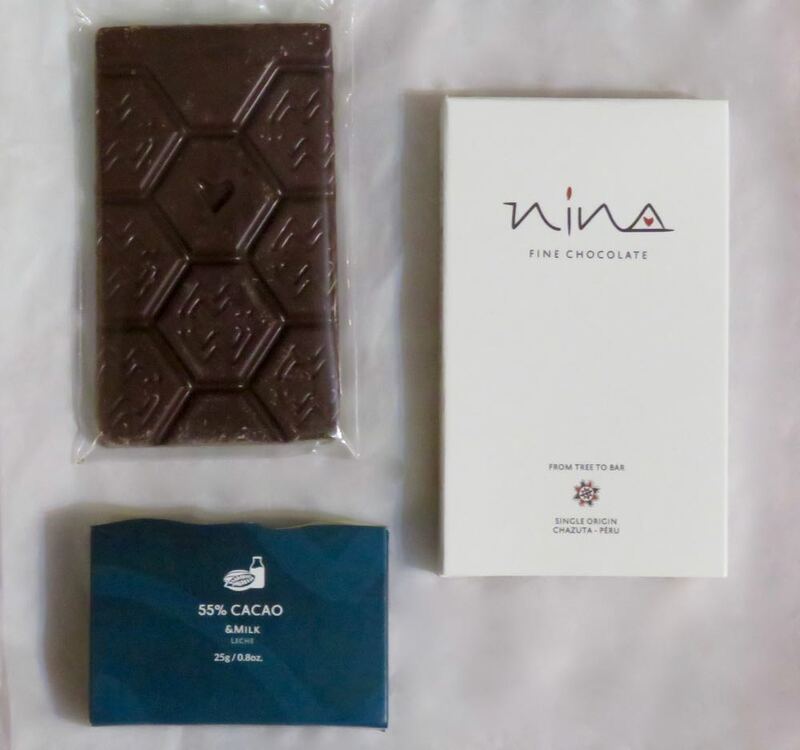 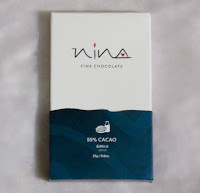 Today's 55% Cacao and Milk (Leche) bar from Nina Fine Chocolate was part of a 4-bar assortment pack, produced by Proyecto Chazuta (Project Chazuta) located in Chazuta, San Martin, in north central Peru. 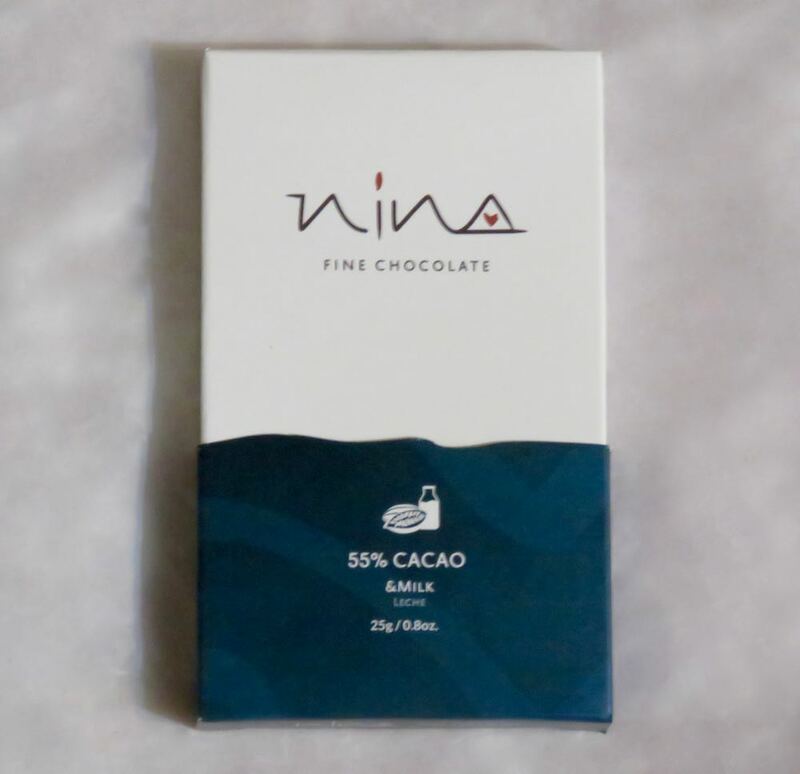 This 55% Cacao bar had an aroma of dried fruit (raisins), and a sweet milk chocolate flavor with a very faint solvent note.